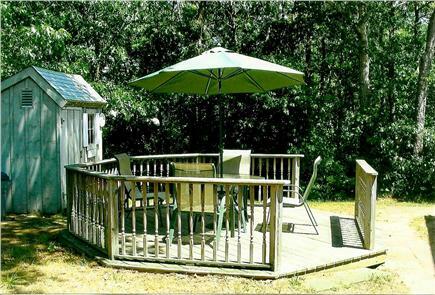 If you enjoy the beach, kayaking, golfing or bike riding, this is the perfect house for you! Our home is a very clean, spacious 3 bedroom in a family neighborhood. The master bedroom has a queen bed; the 2nd bedroom has 1 queen and 1 twin bed; the third room has a daybed with a trundle. All rooms have a closet and ample dressers. 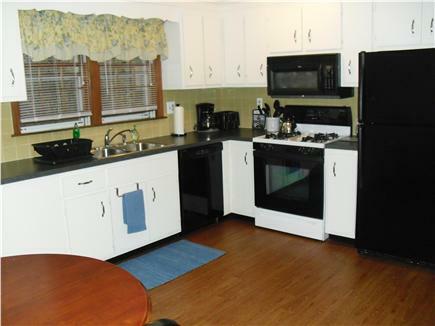 The kitchen is spacious, bright and equipped with a microwave, toaster, coffeemaker, dishwasher and plenty of pots, pans, dishes and more. The living room has a working fireplace for the cool fall nights. The sunroom has cable TV with a DVD player. The large living room also has cable TV, family games and some DVDs. 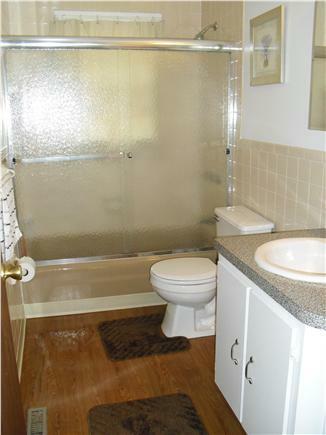 We have an updated bathroom and a large outdoor shower, as well as A/C units and fans for your comfort. On the outside, a detached deck, gas grill, private back yard and 3 car driveway are on a pleasant, family street, only 8/10 mile to the nearest beach. 1 mile to South Village Beach, Sea Street Beach and Swan River. 2 mi. to West Dennis Beach. ...You will also be within walking distance of several restaurants, eateries, a convenience store, and Sundae School Ice Cream. 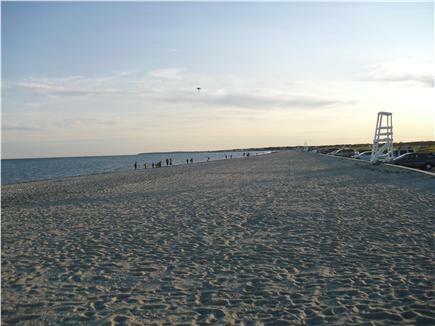 Short drive to Dennis golf, Mayflower Beach,shopping and the Cape Cod bike trail. My family has been going for 2 years now and we have booked a 3rd year. It truly is a "home away from home." It has everything you need inside the home. We found it super clean and spacious. Plenty of restaurants and things to do. The beach is so close that we ride our bikes. I look forward to going every year. Our 1st impression was how clean the house was (we had the unfortunate experience of disappointingly not so clean rentals in the past). The location was great. So close to many beaches, restaurants and of course mini golf courses (where I continued my winning streak against my wife--who doesn't know I added this). The sunroom was a great place to enjoy a morning coffee. The neighborhood was nice and peacefully quiet to enjoy an adult beverage on the big deck after a day at the beach. Cutest Cottage in a great Neighborhood. Just what we wanted. The weekend was wonderful, as was your home! We were very pleased with the accomodations, thanks so much. I really can't think of any improvements I'd recommend; we particuarly loved the out door shower! "My kids have been Asking me if we can go back to your house for vacation this summer because we had such a good time ... I'll let you know the right dates for this year"
"We had a wonderful week on the Cape-so glad we found your home on 'WeNeedaVacation'.